Google CEO Sundar Pichai received total compensation worth $100.5 million last year, according to a filing with the Securities and Exchange Commission Tuesday, handing him the highest pay disclosed by the search giant’s parent company, Alphabet. The vast majority of his pay was in stock awards. 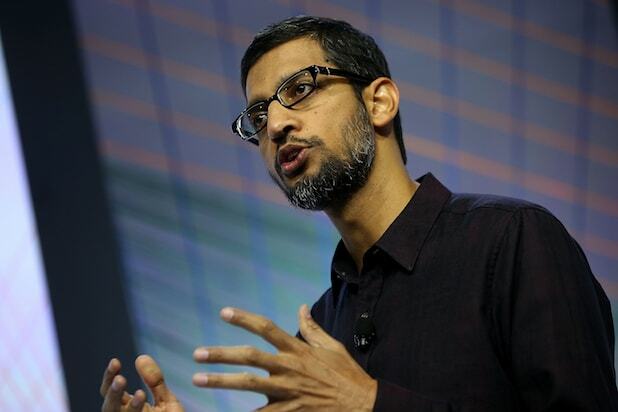 Pichai’s stock compensation was valued at $99.8 million. He received a salary of $652,500. The filing didn’t provide details on his pay in past years. Google restructured itself last year under an umbrella company called Alphabet, with Pichai named CEO of the largest unit, the one housing the company’s biggest businesses like search, Android and YouTube. Pichai, a trusted lieutenant to founder and Alphabet CEO Larry Page, was the company’s product czar, handling many of its most meaningful businesses like search, maps and Android. On the flip side, Eric Schmidt, Google’s CEO for a decade until 2011 who now serves as Alphabet’s chairman, saw a giant drop in his compensation. Schmidt’s total pay fell to $8 million from $108.7 million a year earlier, again fundamentally because of changes in stock awards. He received no stock-based compensation last year after awards worth $100 million in 2014. Tuesday’s filing indicated Page and cofounder Sergey Brin continued to receive a $1 salary with no stock awards or bonuses in 2015, a practice they’ve held for years. The "Official Donald Trump Jam" spawned a viral hit you can't out of your head -- whether you like it or not. This clip of the "Freedom Girls" performance has more than 5 million views. Hillary Clinton's official video announcing herself as a candidate for the first time has been watched 4.8 million times. A tear-jerker montage of American families and workers is the Bernie Sanders campaign's most viewed clip, with 3.2 million views. When Time picked Trump as its Person of the Year, they posed him with a bald eagle that rearranged Donald's "do" and staked a claim on his aspirin. Without the name recognition of Clinton or Trump, one of Sanders most popular videos summarizes who he is him and why he's running in two minutes. Ted Cruz took advantage of the holiday spirit to post a satirical story-time skit that has netted his official YouTube page 1.9 million views. Clinton joined Ellen DeGeneres in New York to talk about sexism, Kanye running for president and her granddaughter's first words.